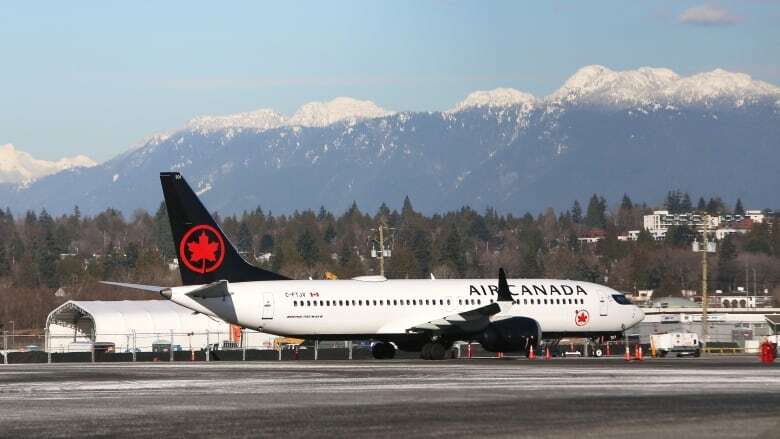 Flight Centre travel agency says Canadian airlines are not waiving flight-change or cancellation fees for passengers who want to switch to an aircraft other than the Boeing 737 Max 8, the model that crashed during an Ethiopian Airlines flight Sunday. The stance from Air Canada and WestJet Airlines, which collectively tout 37 Max 8s in their fleets, comes amid a wave of requests from worried travellers. The crash, which claimed the lives of all 157 people on board — including 18 Canadians — has raised concerns over parallels to a Lion Air crash of the same model of aircraft in Indonesia last October that killed 189 people. The United Kingdom and Germany are the latest jurisdictions to ground the 737 Max 8 as a precautionary measure, following similar moves by Australia, Singapore, Ethiopia, Indonesia and China. Canadian Transport Minister Marc Garneau said yesterday it would be premature to speculate about the cause of the accident and that his department is working with the American Federal Aviation Administration to determine if action is required. Boeing said late Monday the FAA has told the U.S.-based aircraft manufacturer it must install safety-related software updates to the 737 Max 8s. Air Canada and WestJet did not respond immediately to requests for comment on waiving of cancellation and flight-change fees.